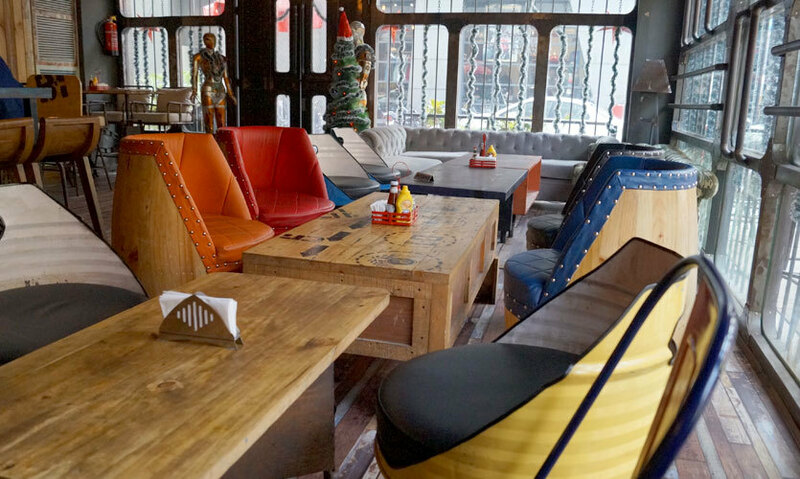 Not many people are alien to the concept of The Junkyard Café and it opening in South Delhi came as a welcoming surprise to all! Situated on the backside of the beloved Select Citywalk Mall, on the corner lies this space of eclectic junk *some of it, quite literally* that you&apos;ll love! This spacious restaurant is divided into three zones. One can witness the first zone as soon as they enter with long tables on the right and seats with cushions made out of junk on the left side. Since it’s a corner plot, one side of the café is made of glass giving it a funky appeal. As one moves inside, sofas are laid out on the right side regaling large groups of people dropping by. A substantial part of this zone serves as the drinks counter and the third zone is partially manned by a DJ whilst the remaining area is seemingly reserved for those looking for some privacy. What gave the décor a spectacular look were the portraits and art installations positioned in an epigrammatic manner all over the café. Fun fact - they were all made out of junk! Nuts, bolts, screws, tyres, barrels, parts of car and trucks, old radios, TVs, beer bottles, and what not went into the creation and needless to say, they looked picturesque. The USP of this place is the varied food menu which also caters to the health conscious people who like to indulge in nutritious meals. Making ourselves comfortable on their palatial sofa, we gorged on the following items. Citrus Mart is the epitome of Vitamin C rich drinks with the perfect blend of oranges, limes, pomegranate with a splash of ginger - It wouldn&apos;t be an understatement to say that it was a refreshing drink that revitalized us to the core. 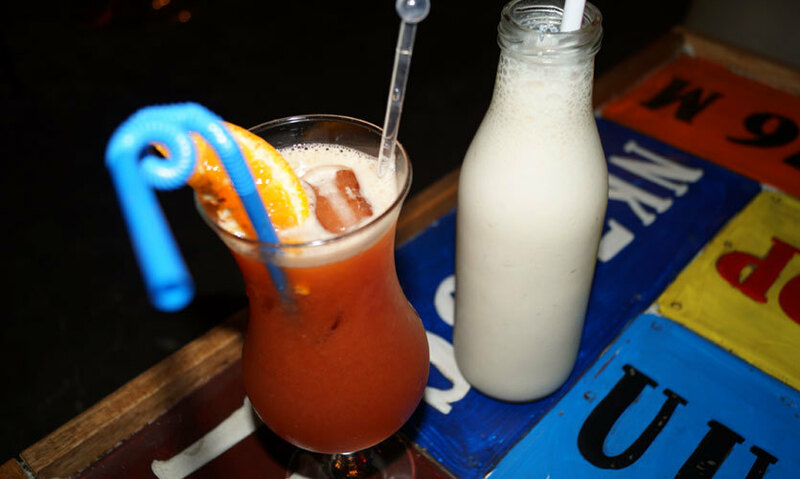 Another healthy option and favourite among the gym goers was the banana shake. The best part was that no additional flavours were used in this drink, keeping it simple with ripe bananas, milk and sugar! What left us spellbound was the dish’s presentation! The spinach leaves are brushed with corn flour before deep frying them. 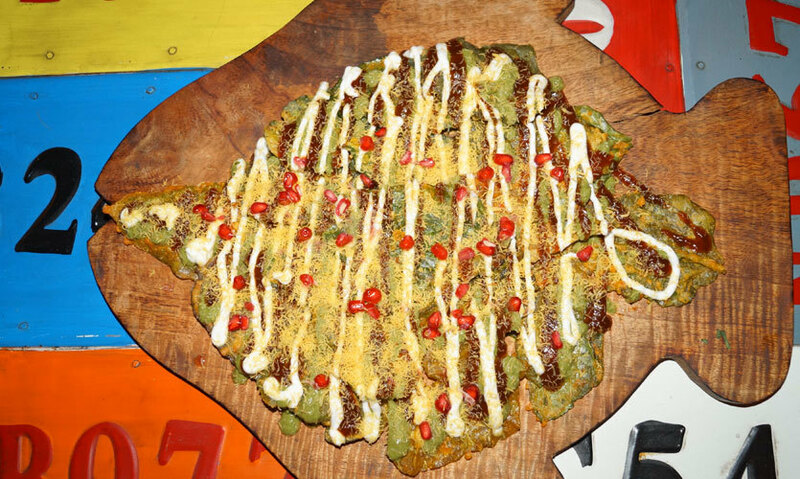 These fried leaves serve as the base of the chaat on which hung curd, mixed with pudina chutney and chutney made from tamarind and raw mango is served. The bhel and pomegranate pellets made it even more appetizing, the spinach leaves had a perfect crisp to it and the best part was that it wasn&apos;t oily at all. This was again a fine example of a twist added by the café. 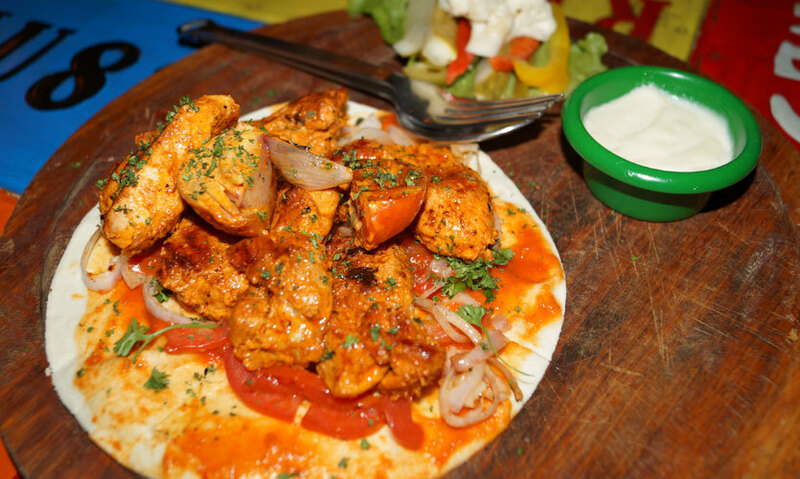 Huge chunks of Chicken were baked on the tandoor before being tossed in a spicy red sauce with tomatoes and onions. The pieces were then served on pita bread which had a layer of ketchup and mayo, coriander being sprinkled on top to optimize the flavour. The chicken pieces were tender, juicy, aptly marinated and had a perfect blend of spices and the pita was fresh. Being paneer lovers, we absolutely loved this dish because of the aroma, the fragrance of the spices and the whiff of searing paneer. 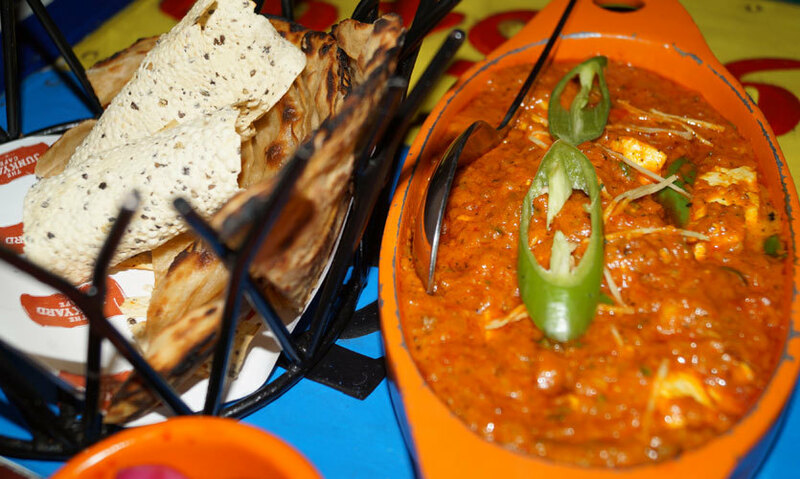 The paneer pieces were cooked in a creamy gravy made from tomatoes with the ideal proportion of spices! The Lachcha Parantha was fresh and crisp and the overall combo was a real treat! 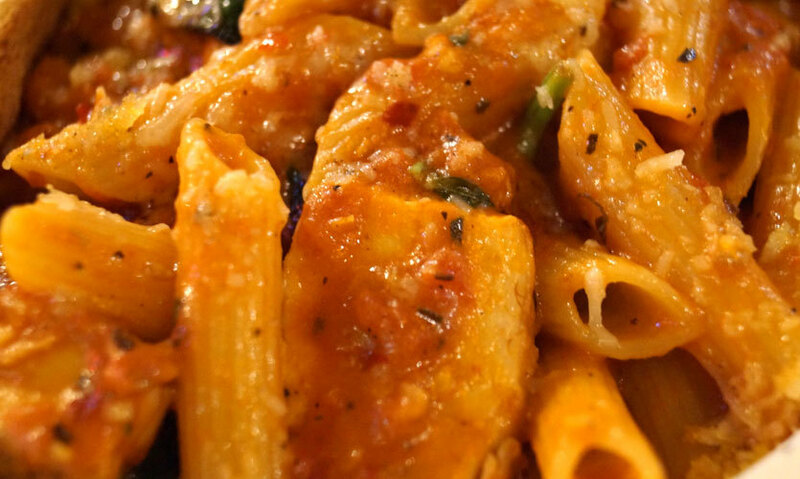 Penne Arrabiata cooked in a spicy red sauce along with succulent chicken pieces, served with a portion of garlic bread, would summarize the contents of this dish best. The quantity is quite generous, incorporating an ideal level of spices! Go try!! 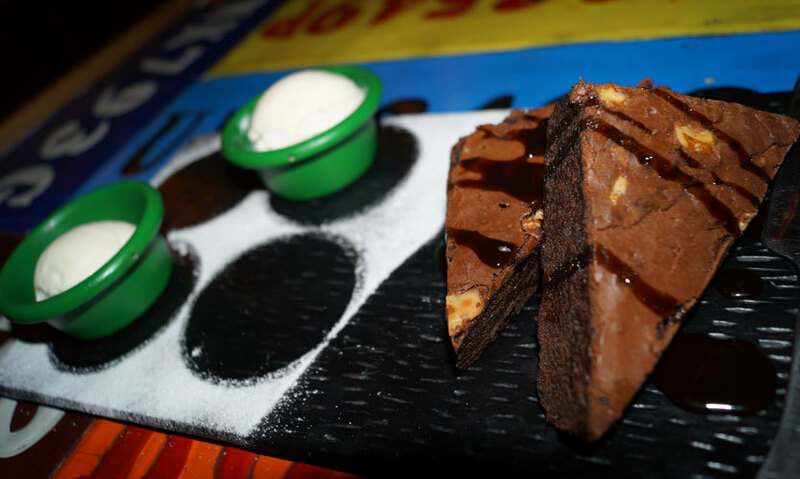 All in all, The Junkyard Café, being a concept driven café knows how to utilize junk in the most offbeat way with pocket friendly & scrumptious food as add-ons. Go try!